I’ve written this guide due to the lack of English ressources in this game. I hope it will be helpful. There is 2 type of talents. Innate talent and acquired talent. The innate talent is not alterable (i think so at least). It’s kind a good news, so you have to switch weapon and gameplay sometimes. A bonus or malus is given to you depending your « growth type », all long of your life. It can be seen in your character Skill Sheet in the “Sword through a Losange” Tab. It’s obtained thanks to the reading of Martial skill book or Art book. When you learn a new skill from a PNJ (sect one for example), he will basicly say “It exist, there is a book. Now get by it and leave me alone”. It give you a level 0 mastering, level 0 understanding and a book of the skill. Mastering a skill can be done with practice and breakthrough, but it only affect during fightings. you +1 lvl of understanding, up to +10 (there is 10 chapters in a book). Fully understand a skill seem to have no effect during fightings. This understanding level increased the acquired talent following this. (in the inner art management panel) or not. ( Thanks to skill D), = +46 Sword Talent. Each Art book have a Tier, and there is 9 tiers corresponding to 9 books in each Arts. Like martial arts, mastering a Art is only usefull during debates. With the TeddyForest translation mod, « Activate Bonus » is not very clear. It is in fact a passive bonus activated when the skill is equipped ! I have noted that there is variants of skills understandings. 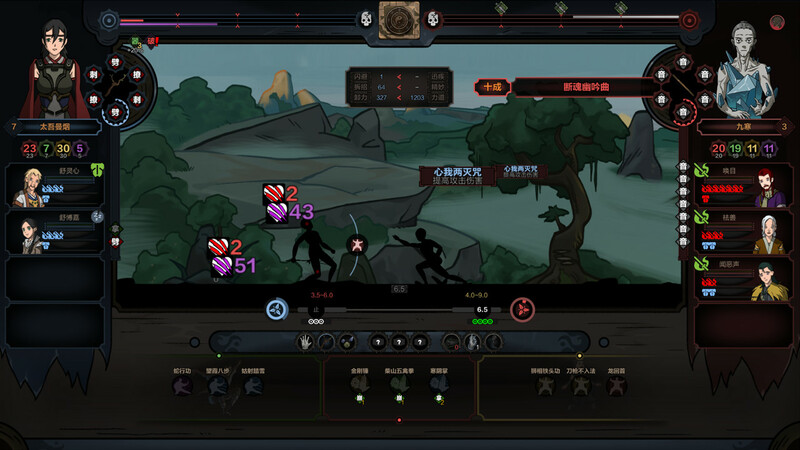 The effects are shown when used during fights. When an inner art is learnt, it immediatly give the inner energy bonus liked to it. Even if not equipped ! Equip and internal Art seem to be useful for the passive bonus only.